To mark his 20th anniversary at Birmingham Royal Ballet (BRB), famed choreographer David Bintley has created a new ballet on the beginnings of ballet itself. 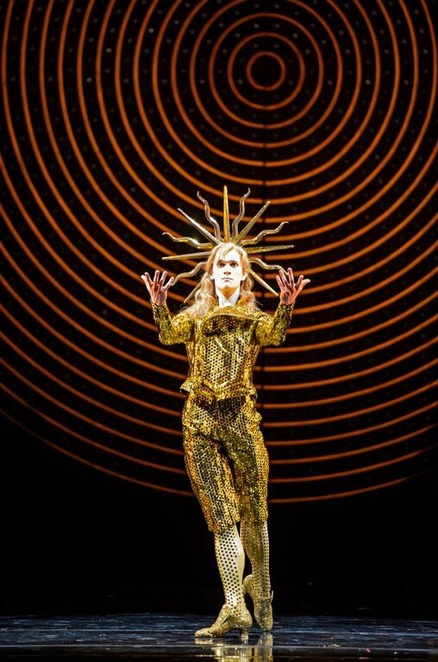 The King Dances is inspired by King Louis XIV, who danced the role of the Sun God Apollo in Le Ballet de la nuit (The Ballet of the Night) in 1653. The king's passion for the dance was a lynchpin in putting ballet firmly at the heart of French culture and his performance earned him the nickname The Sun King. 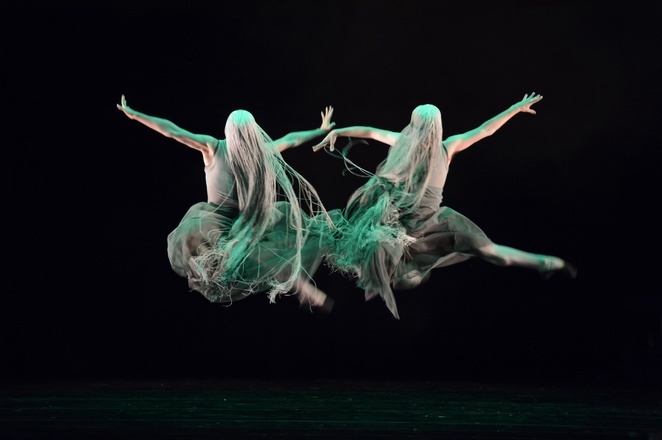 This new work premiered at Birmingham Hippodrome in a shimmering double bill of costumes and dancing alongside Bintley's first ballet as director for BRB in 1995 - Carmina burana. The King Dances opened the night with flames glowing to take the audience back to the atmospheric French court of Versailles. 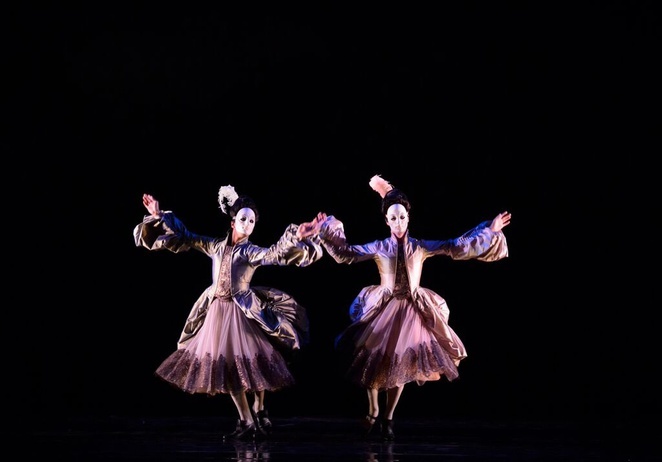 Freely based on Le Ballet de la Nuit, the 35 minute ballet is an intriguing piece of dance. We have the menacing night in dancer Iain Mackay overseeing the dance of the king (William Bracewell) with the moon (Yijing Zhang) before the night terrors take hold and the monarch finally emerges sparkling in dazzling gold from head to foot as the Sun King. The new score by Stephen Montague is impressive, moving between dramatic and gently soothing. The dance scene when the king drifts between sleep and the night terrors is a particular highlight with dancer William Bracewell's wonderfully lithe body floating around the stage before being harangued by ghastly creatures and the devil. Althought the ballet, Bintley's 21st creation, is dripping with lavish costumes and has many delightful dance sequences, it is unfortunately slow to get going and is sadly not Bintley 'gold'. It is far from being as memorable or breathtaking as his other great pieces, including Beauty and the Beast and Carmina burana, which reminds you just how extraordinarily thrilling the director's work can be. Carmina Burana, the second performance of the evening, in comparision seems as fresh and glorious as it did 20 years ago. It's not just the sensual and fast-paced choreography, but the costumes, set design and music that come together to create a perfect piece of theatre. The climactic Carl Orff soundtrack (featuring a brief section famously used as the entrance music for the X Factor judges) demands attention as we follow three trainee priests who lose their way to drinking, gluttony and lust and suffer the consequences. Dancer Celine Gittens is magnificent as Fortuna, the empress of the world, and her pairing with Tyrone Singleton as a priest sick with love is truly mesmerising, sending a tingle down the spine. The 'wow' factor in Carmina burana is that it evokes a whole spectrum of emotions. 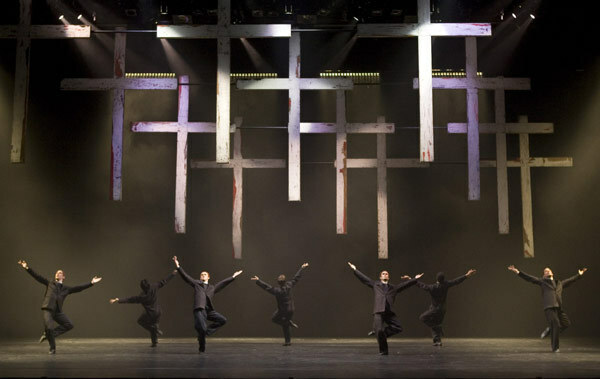 It's vibrant, fun and cheeky while also seductive, romantic and darkly melodramatic as huge crucifixes dripping with blood hang down over the stage. It exemplifies the accomplishments of David Bintley, so what better way to mark his two decades creating world-class dance in Birmingham. Tickets cost £16-£47 from the Birmingham Hippodrome website or by calling 0844 338 5000.